Elite Depot | Down to Earth " the Moisturizer" 1.5 oz. Home > Down to Earth > Down to Earth " the Moisturizer" 1.5 oz. Down to Earth " the Moisturizer" 1.5 oz. Use morning or night to diminish fine lines and wrinkles. 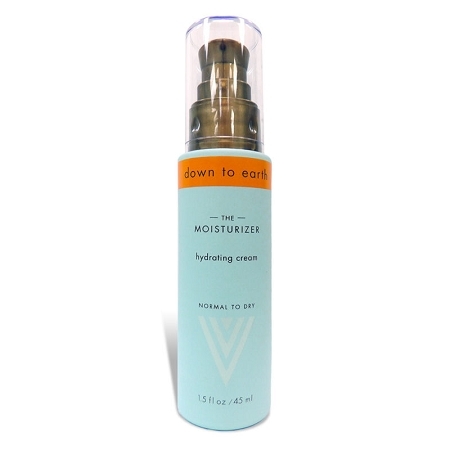 Our moisturizer boosts your skin’s water level while improving overall tone and texture. Instructions Apply a small amount and massage evenly over face and neck every morning. Follow with Down to Earth – The Eye Cream. 42 points will be rewarded to you when you buy this item. Down to Earth "Eye Cream" .5 oz. Down to Earth "the Serum" 1.5 oz. Down to Earth "the Clay" 1 oz. Down to Earth "the Cleanser" 6.6 oz.